Keizer.org was developed to provide general information. The information on this website comes from a variety of sources, and may be subject to change without notice. Data contained at this location, any City of Keizer site, or any site linked from this or any City location, has not been reviewed for legal accuracy or legal sufficiency. The documents displayed are for general reference only, and the City of Keizer makes no warranty or guarantee concerning the quality, reliability, accuracy, content, adequacy or completeness of the materials at this website or at other sites to which this website links. Links or references to other information or organizations do not constitute an endorsement of any kind . Your use of a particular area within the City of Keizer website may be subject to other terms, conditions and notices outlined specifically in that area. In the event that any of the general terms, conditions and notices contained herein conflict with the specific terms, conditions or notices contained within a particular area of the City of Keizer website, then the specific provisions of the particular area shall control over the general provisions stated herein. The City of Keizer takes your privacy seriously. This policy is designed to let you know what information the City collects when you use Keizer.org, why we collect it, and how we use the information. This policy addresses collection, use, and security of and access to information obtained through use of Keizer.org. The information presented here is not meant to be a contract of any type, either express or implied, and should not be treated as such by you. The information in this statement and/or the policies described here may change at any time, without prior notice to you. This disclaimer and policy shall not be construed in any way as giving business, legal, or other advice, or warranting as fail-proof the security of private information. This policy does not describe information collection policies on any other site, including those linked to or from this site. Certain City created applications collect your email address. You control whether you provide your name and/or email address. If enabled, you may choose to rely on your mobile device to indicate the location of your service issue or you may choose to manually provide the location of your service issue. In either case, you transmit your location to the City for the purpose of identifying a service issue. The City uses your name and email address to provide you with personalized updates on the service issues you subscribed to. We also collect aggregated information from all of our visitors to measure performance, analyze traffic patterns and improvement Keizer.org’s content. Some Keizer.org services require you to register for an account. We ask you for some information in order to create an account (typically your name, email address and a password for your account) and we will use that information to provide the service. Except for authorized law enforcement investigations and the security purposes mentioned elsewhere in this notice, no other attempts are made to identify you or your usage habits. The City strives to collect the minimum information necessary to comply with applicable law or provide the service requested. The City does not sell or rent your information, including email addresses, to any outside organization, unless legally required to do so under state or federal law. The City does not disclose payment or other personally information other than as necessary to complete a financial transaction, upon explicit permission from the applicable user, or compelled by law. If you have elected not to receive further information from the City, we will not send such information. If you have elected to receive further communication from the City, we will only send information in categories that have been requested. “Personal identifiable information” is information about a natural person that is readily identifiable to that specific individual. Personal information includes such things as an individual’s name in combination with their social security number, driver’s license number, or other financial information such as a payment card number. A domain name or Internet Protocol address is not considered personal information. We collect no personal identifiable information about you unless you voluntarily provide it to us be sending us email, subscribing to notifications, participating in a survey, completing an online form, or engaging in an online transaction. You may choose not to contact us by email, participate in a survey, provide personal information using an online form, or engage in an electronic transaction. If personal identifiable information is requested on the web site or volunteered by you, federal or state law may protect it. However, this information is treated like any other information provided to the City and may be subject to public inspection and copying if not protected by federal or state law. In the State of Oregon, laws exist to ensure that government is open and that the public has a right to access appropriate records and information possessed by City government. At the same time, there are exceptions to the public’s right to access public records that serve various needs including the privacy and safety of individuals. In the event of a conflict between this Notice and the Oregon Public Records Act or other law governing the disclosure of records, the law will control. The City of Keizer has made every reasonable effort to ensure the accuracy and timeliness of the information provided on this web site. However, the City does not guarantee the accuracy of the information provided on this site. Therefore, the City of Keizer shall assume no liability for any errors, omissions or in inaccuracies in the information. Increasingly, you have the option to do business with the City over the internet including making electronic payments for goods and services in certain situations. Such transactions are allowed only under tightly controlled circumstances, where there are appropriate technological and other safeguards in place to protect financial and other sensitive, personally identifiable date. Under statute, the City is responsible for properly securing communications that are exempt from public disclosure including financial information. Wherever possible, the City does not see or collect financial information. Instead, designated banks route the data, transfer the funds and confirm payment to both you and the City. Additional measures, including but not limited to encryption are used to ensure the integrity and security of your financial information. The City’s web site has many links to other websites that are operated by third parties. These include links to websites operated by other government agencies, and nonprofit organizations that engage in activities that further the City’s mission. The City does not endorse any content, viewpoint, product, or service by virtue of the fact that a link to a government agency’s or non-profit organization’s website has a link on the City’s website, and the City may not be held liable for any losses caused by reliance on the accuracy, reliability or timeliness of any information on such other websites. Any user that relies on any information obtained from a website linked to the City’s website does so at that user’s own risk. The following criteria will be used to decide whether to grant requests for City website links. If a particular request does not fit any of the following criteria, the City Council will decide whether to approve the request. The City Council will approve the requested website link if it serves the general purpose of the City’s website. 8. Individual or personal home pages. The City provides a link to a popular online translation service. The link does not constitute an endorsement of that service provider and the City makes no representation as to the quality of the service offered nor the accuracy of any translation performed by that service. You may use any internet search function to find other translation services. You should make yourself aware of any terms and conditions of use of any online translation service. Keizer.org interactive features (forums, comment boards and blogs, etc.) are not public forums and you are not anonymous. Prohibited uses include politics, advertising, and other such users as determined from time to time. Use of language inappropriate to minors and threatening or malicious comments are prohibited. Forums are monitored regularly and objectionable content deleted. Any comments submitted to these locations are public records subject to disclosure. The City of Keizer makes no warranty or guarantee concerning the accuracy or reliability of any information available at these sites or any other social media site to which these sites are linked. Links or references to other information or organizations do not constitute an endorsement. 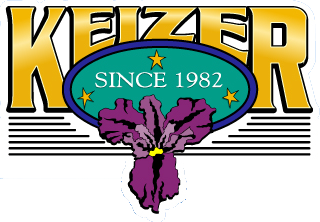 In no event shall the City of Keizer be liable for any special, indirect, incidental or consequential damages or any damages whatsoever resulting from inconvenience, or loss of use, data or profits, whether in an action of contract, negligence or other tortuous action, arising out of or in connection with the use or performance of information available from this web site and server, even if the City of Keizer has been advised of the possibility of such damages or losses. 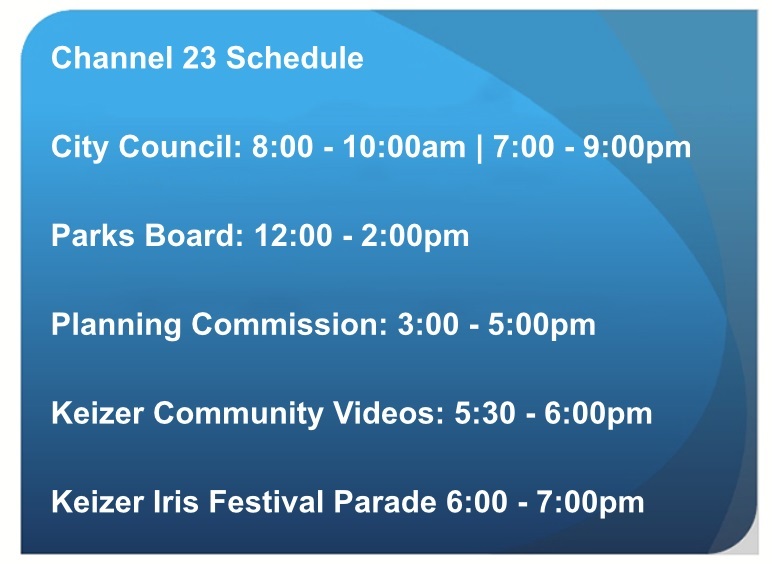 If you have any questions or concerns about the City of Keizer’s use of your information or about this Policy, please send an email to: Administrator@keizer.org . This Policy is effective as of May 18, 2015.